Nyatoh Timber Doors are made from solid nyatoh timber/ panels glued and joined together to create different designs. 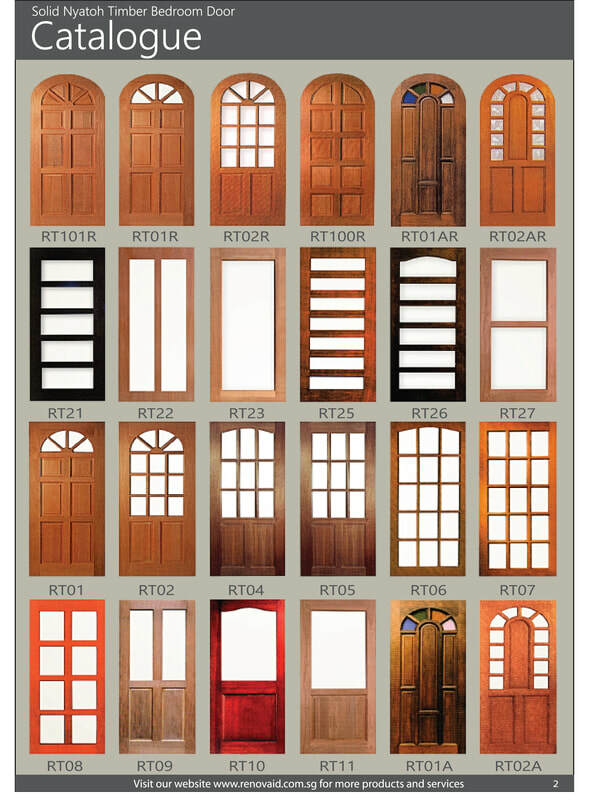 Nyatoh Timber Door is well liked by many due to its classic and timeless design. Nyatoh Timber Door is suitable for Main, Bedroom or Kitchen Entrance not exceeding 33"x 84". 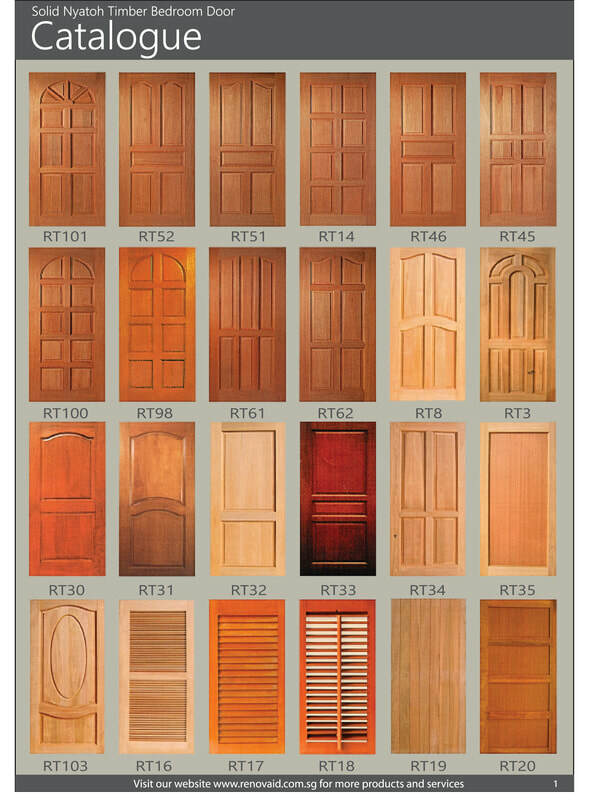 Nyatoh Timber Doors are usually varnished to preserve the natural woodgrain design . It can also be painted however it is not recommend as the finishing might not be ideal in the long run.